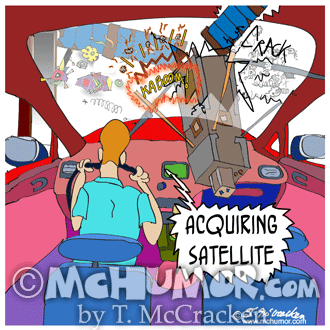 GPS Cartoon 9011: A car's GPS says "Acquiring Satellite" as a satellite crashes through its window. 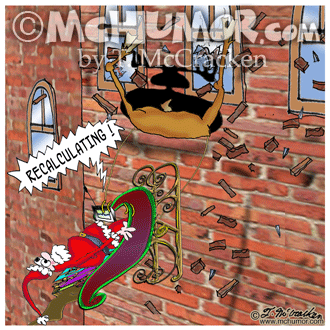 Santa Cartoon 8699: Santa's reindeer have smashed through a building's wall while his GPS says, "Recalculating!" 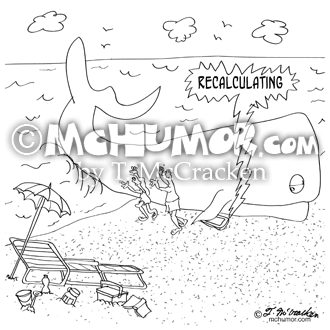 Whale Cartoon 9283: A beached whale has a GPS device going, "Recalculating." 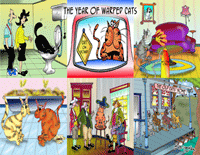 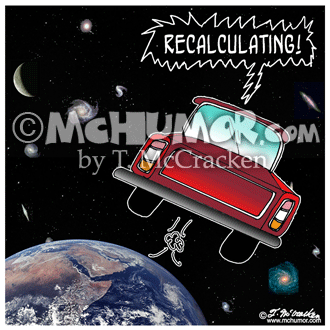 GPS Cartoon 8638: As pickup truck zooms in space its GPS system says, "Recalculating!" 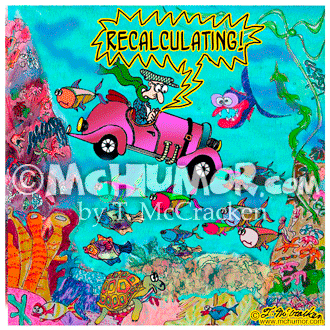 GPS Cartoon 8639: As a car sinks in the ocean its GPS system says, "Recalculating!" 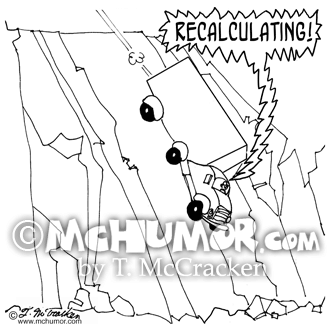 GPS Cartoon 8640: As truck goes over a cliff its GPS system says, "Recalculating!" 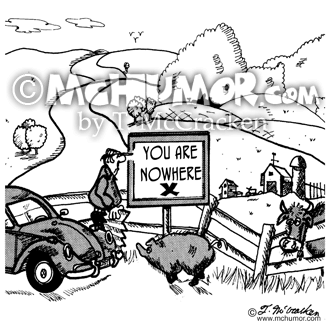 Farm Cartoon 2072: A lost man in the boondocks seeing a sign that says, "You Are Nowhere." 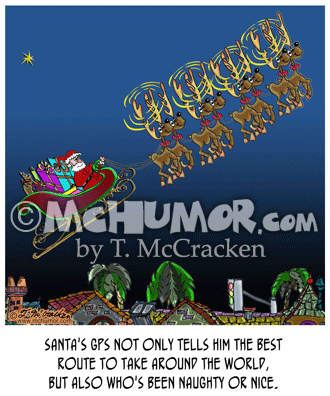 Christmas Cartoon 8691: "Santa's GPS not only tells him the best route to take around the world, but also who's been naughty or nice." 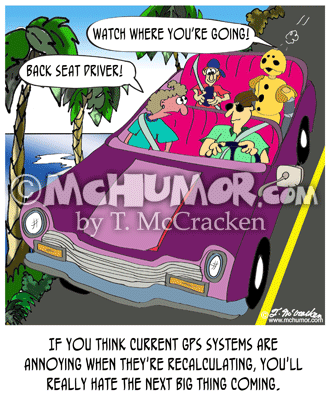 Reindeer have little waves over the antlers. 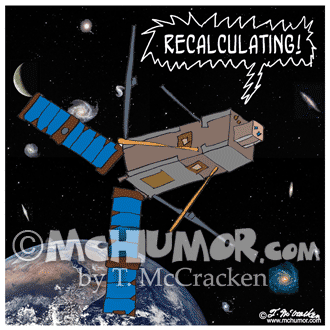 Satellite Cartoon 8771: A satellite says, "Recalculating!"